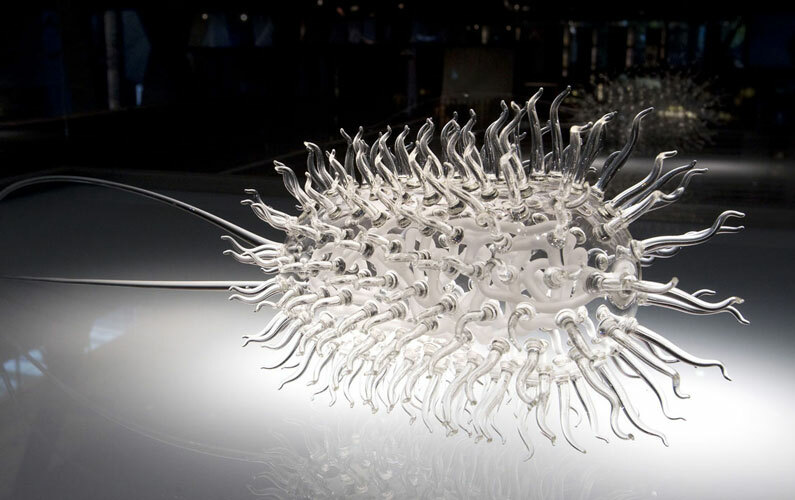 I had the pleasure of seeing one of these pieces by Luke Jerram a while ago and they are truly breathtaking. We have all seen a thousand and one electron microscope pictures (taking nothing away from their ability to repeatedly impress me), but these take that a step further and exemplified to me one of the true undertows of bacteria and virus related illness. These organisms of e-coli, small pox and HIV are often similar to glass in their fragile nature, but can cut with fatal force.